Is it a bird? Is it a plane? 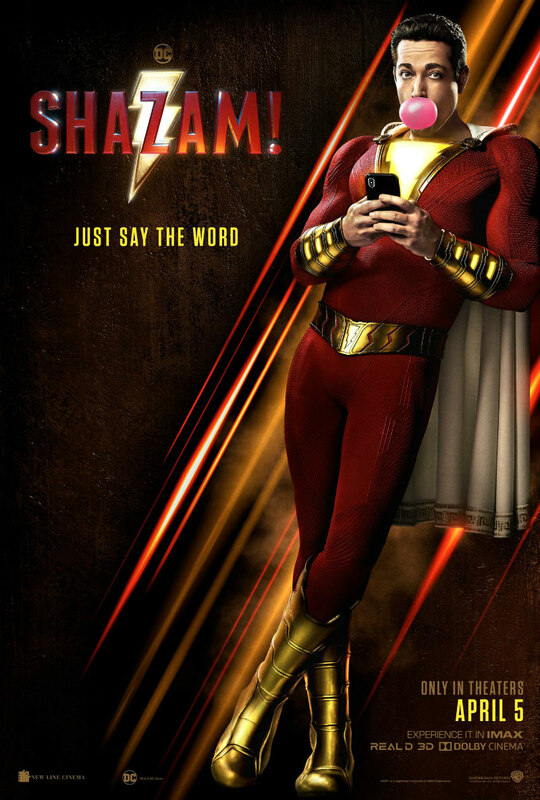 No, it’s Shazam. Created in comic book form in 1939 and even outselling Superman in the 1940s, the original Captain Marvel, now known as Shazam due to trademark conflicts with Marvel Comics, flies faster than a speeding bullet onto the big screen with Zachary Levi playing the eponymous hero. Harvesting the magic of ancient wizards, a mysterious powerful orb is keeping the evil gargoyle-esque Seven Deadly Sins at bay in the mystical realm known as The Rock of Eternity. But as the wizards begin to pass away until only one remains (Djimon Hounsou), he desperately seeks a champion to transfer his powers to before it’s too late. Running out of time and options, he chooses 14-year-old misfit Billy Batson (Asher Angel). All Billy must do is say “Shazam!” and he transforms into an almighty red and white costumed crusader complete with perfect hair and adult sized hands. As Billy struggles to control his new gifts, while at the same time accept his new foster family, villain Dr. Thaddeus Sivana (a magnificently menacing Mark Strong) is seeking the orb along with the help of the Seven Deadly Sins to destroy Shazam and take over the world. Levi has the time of his life playing the all-powerful super man and his flawless comedic skills and youthful enthusiasm are at their best when paired up with foster-brother Freddy (Jack Dylan Grazer) as the two work together to unleash Billy’s potential. Whether it’s discovering he’s bullet proof or sneaking into places a young teenage boy really shouldn’t go, his infectious charm and boundless energy makes him inspired casting. The supporting ensemble, particularly the children, are all excellent, however one slight misstep is Hounsou as The Wizard. His booming baritone voice and unconvincing make-up hardly showcase him as the weak, fading Sorcerer he’s supposed to be. It would’ve made more sense to cast a much older actor, but that’s a minor quibble and certainly doesn’t detract from the fun. 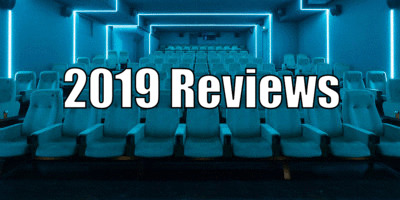 And it really is fun, with numerous in-gags and Easter eggs on display, but it's also surprisingly dark and violent in places, fully justifying the 12A certificate. Decapitations, mutilations and a fair few uses of some choice words might be too much for some of the younger ones out there. 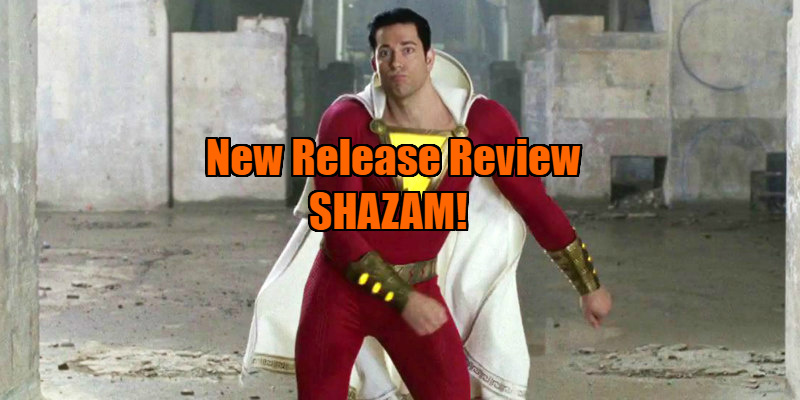 As spectacular as it is enjoyable, and featuring some outstanding performances, a hilarious script delivered with style and skill and never taking itself too seriously, Shazam! instantly grabs you by the white cape and soars through a plethora of emotions. Director David F. Sandberg and writer Henry Gayden successfully create an exciting plot exploring all the usual themes found in a superhero origin story, but what makes this stand out is the sense of family and love at its heart. Acceptance, hope and courage run through the movie, proving many times that not all heroes wear capes. Shazam! has well and truly arrived into the extended DC Universe at just the right time, and it looks like he's here to stay. Stick around for an extra two scenes - one mid-credits and the other right at the end. Shazam! is in UK/ROI cinemas April 5th.